A road crash involving two buses at Asuboi, a suburb of Suhum, on Wednesday morning, has claimed 10 lives. 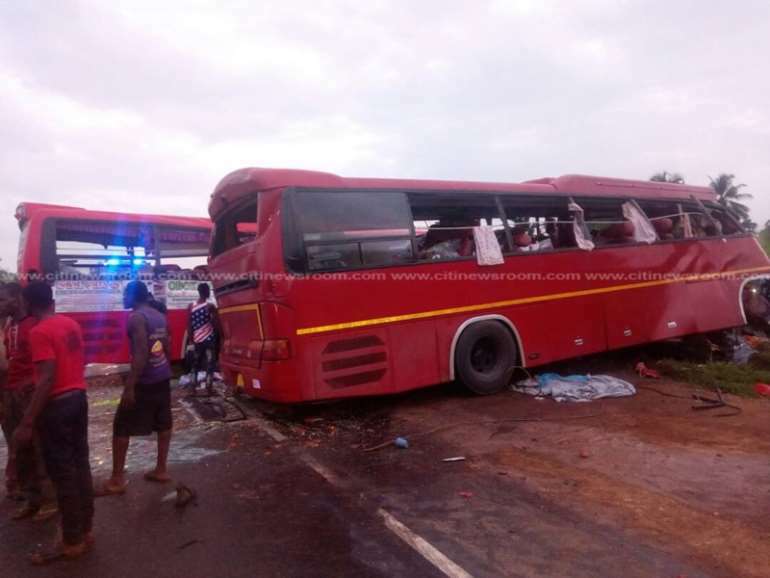 The crash occurred on the main Accra Kumasi Highway. 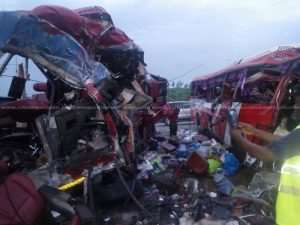 Personnel of the National Ambulance service indicated to Citi News that there were 32 survivors from the crash. Some of the survivors are said to be in critical condition. 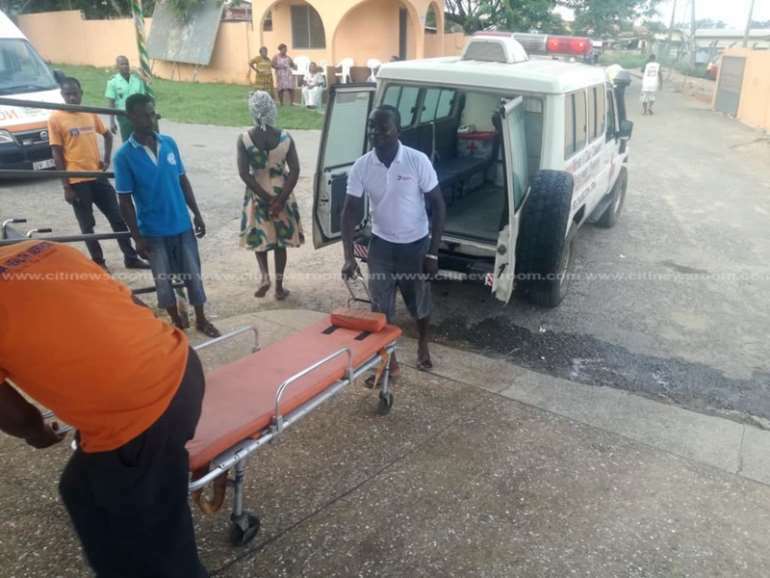 Doctors at the Suhum Government Hospital are making arrangements to refer some of the injured to the Koforidua Regional Hospital. Several lives have been lost through accidents this year.